HDB said a decision on the award of the tender will be made after the bids have been evaluated and that this will be announced at a later date. Commenting on the bids received for the site at Anchorvale Crescent, Mr Ong Teck Hui, JLL’s National Director of Research & Consultancy said the EC market remains a bright spot in the residential sector. 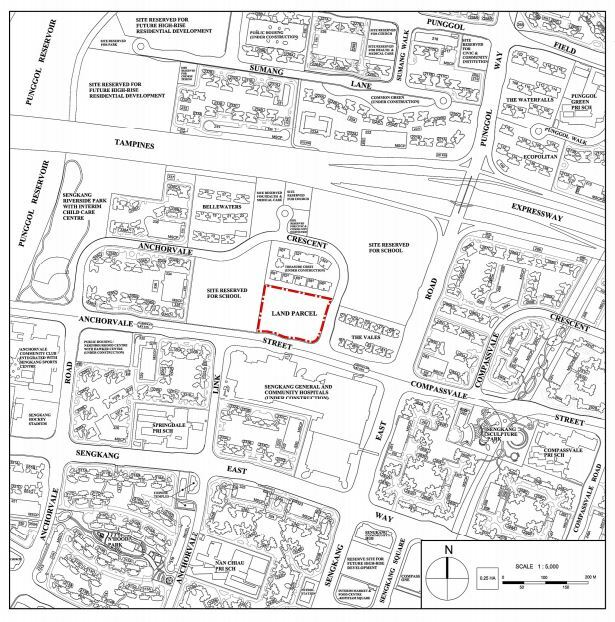 “The Executive Condominium (EC) site at Anchorvale Crescent with a permissible GFA of 51,411.9 sqm was launched for tender on 10 August 2018. The top bid at $318,888,889 was only a hair breadth higher than the second highest bid at $318,888,000, reflecting the neck-to-neck tussle to secure the site. After tendering for the Sumang Walk and Canberra Link EC sites previously and failing to secure them, Evia Real Estate and Gamuda seems to have redoubled its efforts in today’s tender by bidding more robustly at $576.24 psf/pr. It is 3.2% higher than the top bid of $558.22 psf/pr for the Canberra Link EC site whose tender closed recently on 4 September. Ms Tricia Song, Colliers International’s Head of Research for Singapore said the results showed that there is a strong demand for EC market. “The site received seven bids, with a top bid of SGD318.9 million or SGD576.2 psf ppr, in line with expectations. The top bidder was a JV between Evia Real Estate and Gamuda who last partnered in GEM Residences. Evia Real Estate is also no stranger to EC development, having developed Heron Bay EC in 2012 and Lake Life in 2013. Interestingly, the top bid barely edged out the second highest bidder by just SGD899 or 0.0003%, and the tight margin of just 15% between the top and last bidder showed the consensus of pricing among developers. Together with the Canberra Link EC site tender which closed on Sep 4 and saw nine bids and a top bid of SGD558.2 psf ppr, we believe there continues to be relatively stronger demand for EC land. This compared with the subdued three and five bids for the Jalan Jurong Kechil and Dairy Farm private housing sites which both closed on Sep 4, post measures. Developers appear to think that in light of the latest government curbs, EC units would still enjoy strong demand. Based on the top bid of SGD576.2 psf ppr, we estimate a breakeven price of SGD900-950 psf ppr and an average selling price of SGD1,100psf. The EC market demand improved with the positive sentiments in the residential property market after the government relaxed some of the market curbs in March 2017. 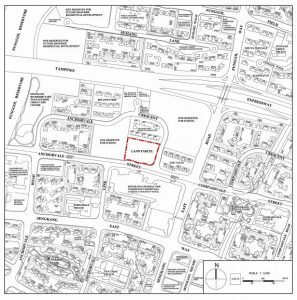 The hunger for EC sites was evident in the 17 bids and record-breaking top bid attracted by the Sumang Walk Executive Condominium Government Land Sale site when tender closed in February 2018.